Sonic is preparing a delightful on-site campaign for Coachella later this month, where it will sell completely square shakes that were designed for Instagram and will be available for purchase (and instant delivery at the music festival) through Instagram. The campaign promotes Sonic's Creamery shakes, introduced last month, which feature more premium flavors and ingredients (like bourbon, Madagascar vanilla bean, wildberry and lavender). To promote the premium products, Sonic agency Goodby Silverstein & Partners suggested creating a premium, highly designed Instagram campaign—and rolling out a new product made specifically for, and sold through, the photo platform. GS&P enlisted chef Christine Flynn—aka, @chefjacqueslamerde on Instagram—to take the Creamery shakes, deconstruct them and put them back together in adorable square shapes. 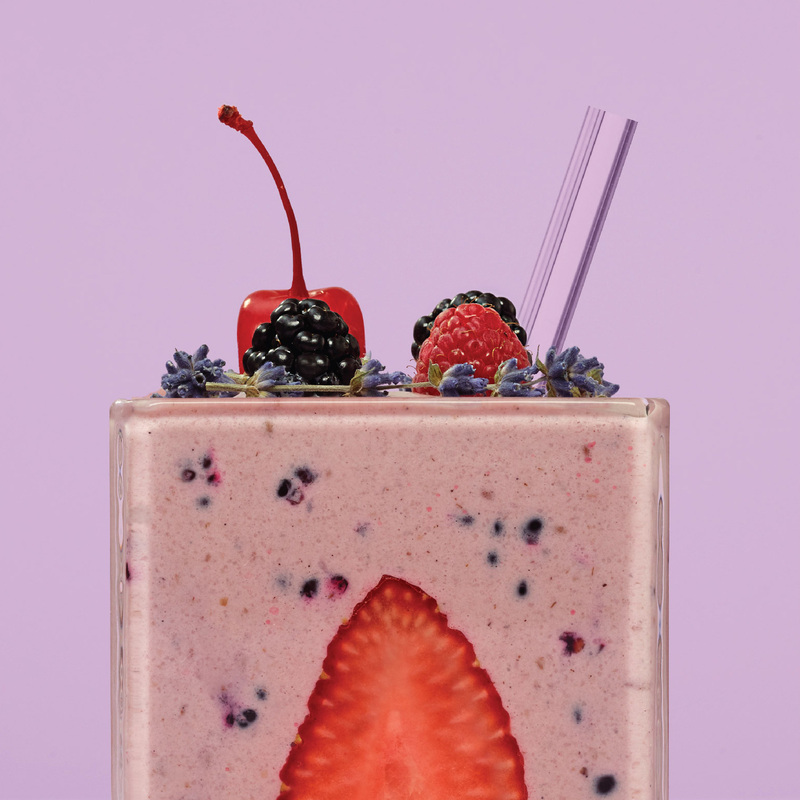 The result—fun, poppy, foodie-style images and videos leading up to a one-day, geotargeted, personalized delivery of the shakes at Coachella on April 16. "We wanted to be the first brand, and especially the first food brand, to have a product that was designed for Instagram, offer it exclusively for sale on Instragram, and then deliver that product within minutes of your order on Instagram," Sonic's president and chief marketing officer, Todd Smith, tells AdFreak exclusively. "We're using the platform to really drive the quality story [of these shakes] in a different way." "I just thought it was a really neat idea to create a product for the platform," adds GS&P executive creative director Margaret Johnson. "Everything about this product is square—the cup, the straw, even the cherry on top. I thought that was visually super interesting, and it taps into something we all do anyway. We all take pictures of our food and post it. It seemed like a fun extension of pop culture that's already happening." Flynn was the perfect partner on the project, Smith says. "She is just a hyper creative mind," he says. "She is someone who pokes fun at fine dining by styling and photographing more approachable foods in super sophisticated ways. When we approached her with this idea, she said, 'Oh that's so cool, that's exactly what I do.' "
On April 16, attendees at Coachella will see Sonic ads on Instagram, featuring the shakes along with a "Shop Now" button. Using a geo-fence overlaid on the festival, the brand will be able to find the people who order and deliver the shakes directly to them. The purchase price? You just have to take a photo of the shake and post it to your own Instagram. "Coachella's a cool place for it," says Johnson. "It's full of young people, for one thing. And it's in the middle of the desert, so what better place to order up an ice-cold, yummy shake?" Smith said the campaign should help sales of the Creamery shakes, but that's not the primary purpose. As it did with its one-day limited-time offer on Snapchat previously, it's most trying to build its brand among young people by growing its social audience. "We're looking at adding Instagram followers and building a community," Smith says. "We want to push our brand into spaces where it hasn't necessarily been before."